The scheme is currently at the centre of tussle between the L-G and the Delhi government with Deputy Chief Minister asking Baijal if he was trying to "protect" the corrupt system by the opposing the proposal. Arvind Kejriwal said the government is currently preparing a response to the L-G's objections. 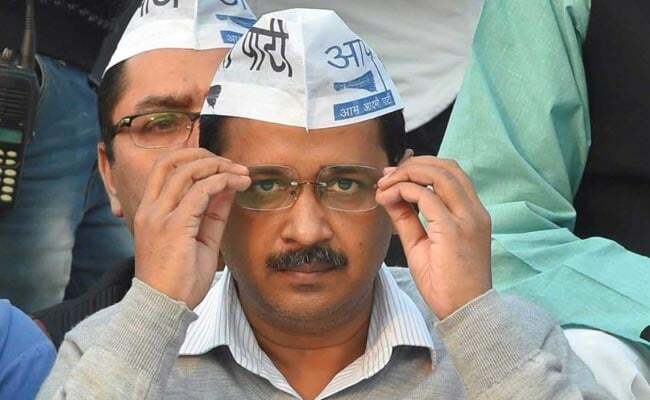 New Delhi: The AAP government will again send its proposal for the ambitious 'doorstep delivery of services scheme' to Lt Governor Anil Baijal for approval, with a detailed reply to each objection raised by him, Chief Minister Arvind Kejriwal has said. The scheme is currently at the centre of tussle between the L-G and the Delhi government with Deputy Chief Minister asking Mr Baijal if he was trying to "protect" the corrupt system by the opposing the proposal. Recently, Mr Baijal had returned the proposal to the Delhi government asking to reconsider it and raised several objections, including safety of citizens and corruption. "We will again send the doorstep delivery proposal to the Lt Governor with detailed replies to all objections in the next few days," Mr Kejriwal told PTI. He said that the government is currently preparing a response to the L-G's objections, adding that the proposal was good for Delhiites. Under the proposal, government wants to provide 40 services at the doorstep of citizens, including driving licence, ration cards, caste certificates among others. In his objections, Mr Baijal had said the present proposal had implications on safety and security of women and senior citizens, privacy, loss of documents, and it added unnecessary expenditure for the government and the people. In response to the objections, Mr Sisodia had said that despite the online service system, people had to visit department offices once or twice to submit their documents. To the government's comparison of the scheme with pizza delivery at the doorstep of citizens, the L-G had said "Pizza, unlike documents, cannot be downloaded". Replying to the L-G's pizza remark, the deputy chief minister had said that just like "pizza cannot be downloaded online, a human being seeking a certificate cannot be uploaded and sent to a government office for verification".